11 In the midst of widespread flooding in Myanmar after Cyclone Komen in August 2015, the mountainous region of Myanmar’s Chin state was hit by severe landslides, and in Rakhine state numerous villages could not be reached by vehicle. Staff of WHO’s Myanmar Country Office did not let tough access conditions deter their efforts to reach affected populations of Rakhine state. 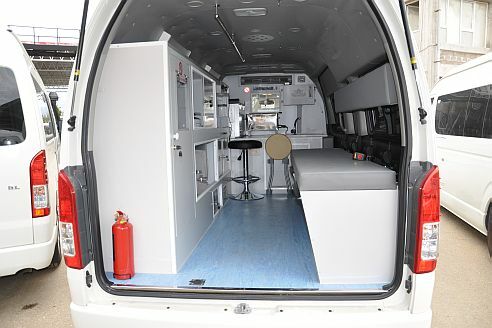 Mobile medical teams often could not find areas dry enough to set up temporary facilities. 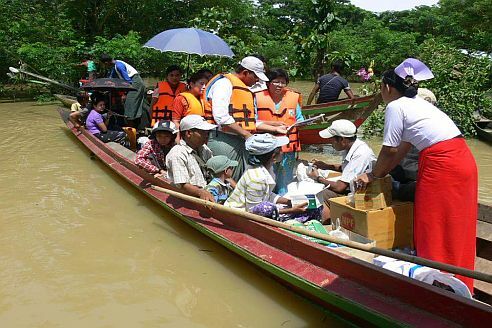 The decision was made to use shallow-draft boats, with doctors, nurses (wearing their traditional distinctive red skirts), and health assistants delivering clinical care and medicines while floating on the slowly receding flood waters. 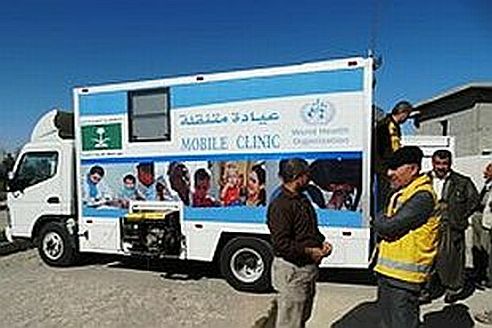 The World Health Organization (WHO) and its many partners regularly deploy diverse mobile clinics and medical teams to reach people cut off from access to health services. For many people access to these mobile clinics and teams may be their only source of health care. Mobile clinics offer flexible and viable options for treating isolated and vulnerable groups. The demand for mobile units keeps rising. 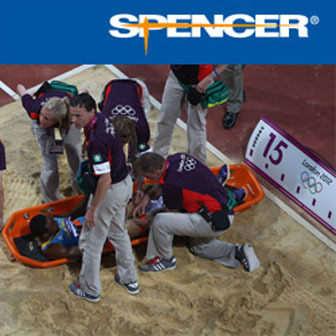 When coordinating crisis response, WHO has arranged for such wheel-based health care, and modified the details based on the situation. WHO may buy mobile clinics or supply them, or pay for partners to buy or supply them. For example, last year WHO provided 44 mobile clinics to Syrian health non-governmental organizations to serve populations in hard-to-reach areas. 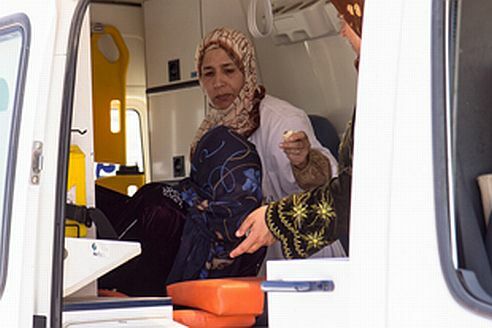 Below are series of photos illustrating some of the ways WHO uses mobile clinics and medical teams in emergencies. 13 Rahab Al Jamal is one of 17 midwives working in the Zaatari refugee camp in Jordan, where 100 to 200 women each day, most of them refugees from the Syrian civil war, go into labour under less-than-optimum circumstances. “We have to support mothers during delivery in extremely hard conditions,” she reports. Ms. Al Jamal also provides consultations on family planning methods and offers pre- and post-natal care to women at the camp. 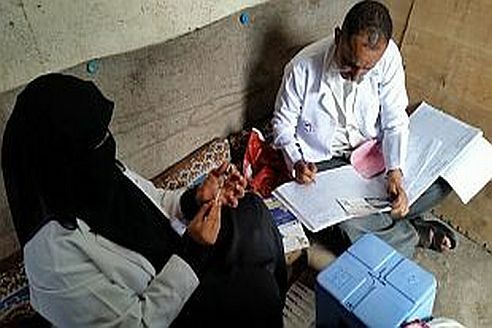 12 Health workers for a WHO-supported mobile medical team prepare to vaccinate children in San’aa. 10 After the earthquake in Nepal last year, Nikesh Pahari (right) was living in a tent with his parents and neighbours. The 12-year-old had refused to speak or eat and is afraid to go near his house. A psychiatric social worker from the mobile mental health team taught him and another child a ‘balloon blowing’ breathing technique, which eventually coaxed a smile out of both children. 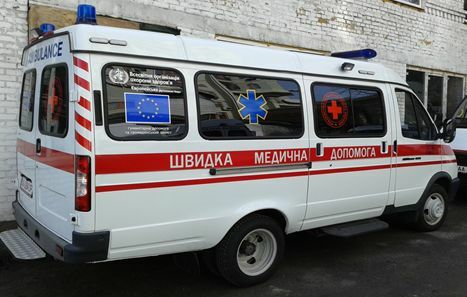 9 Four mobile mental health teams help affected Ukrainians overcome post-traumatic disorders. Artema village near the contact line was bombed more than a year ago, and though there is no shelling now, people remain dismayed and scared. “We live in the constant fear that war could come back to our village. I cannot sleep at night,” says Raisa, 57. 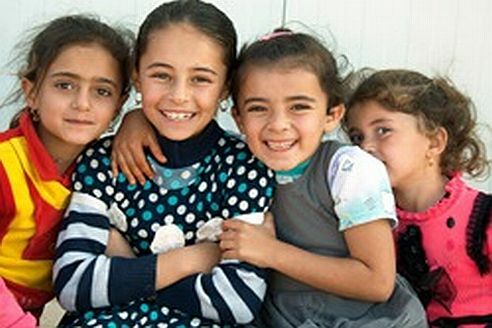 A strong need exists for quality mental health services for conflict-affected communities. 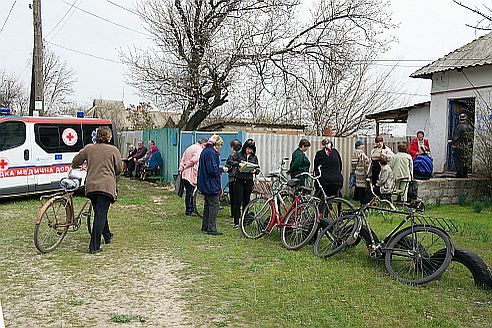 8 People wait for a doctor’s consultation in front of an old building that functions as a primary health care facility in Synykha village, Ukraine. Halyna, 70, cries. 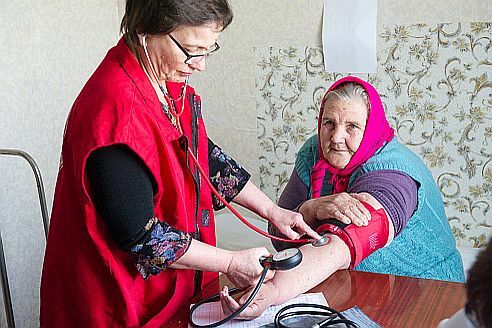 She has heart disease, but it is almost impossible for her to visit a doctor. 7 This WHO-supported mobile clinic in Ukraine shows one of the many ways a mobile clinic may look worldwide. 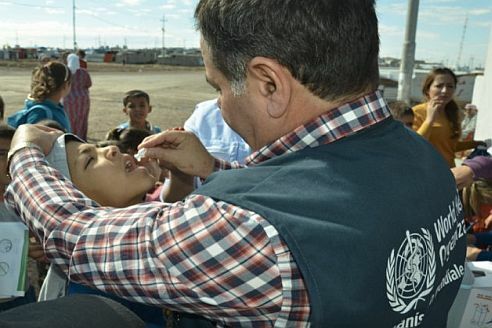 6 A young student receives his first oral cholera vaccination dose from WHO's Dr Salahuddin Hussein, a medical officer working in Dohuk Governate, Iraq. 5 Amira, aged 5, from Ramadi City, Iraq, is one of the tens of thousands of refugees and migrants in need of health care. The arrival of a mobile primary health care clinic gave her a reason to smile. 4 This mobile clinic, supported by WHO, operates in one of the Amriyat Al-Fallujah camps. The clinics have been in circulation in Iraq for about a year and are linked to the health care system. Clinics are located in Anbar and Baghdad governorates, Kirkuk, Diyala, Erbil, Dohuk and Sulaymaniyah. 2 Syrian children line up at a WHO-supported mobile clinic in western Aleppo. With the introduction of the mobile clinics and in partnership with nongovernmental organizations, WHO has provided humanitarian health support to the under-served populations. This includes areas where the health care system has been adversely affected by the crisis especially Dar’a, Aleppo, Rural Damascus, Al Hassakeh and Deir ez-Zor among others.